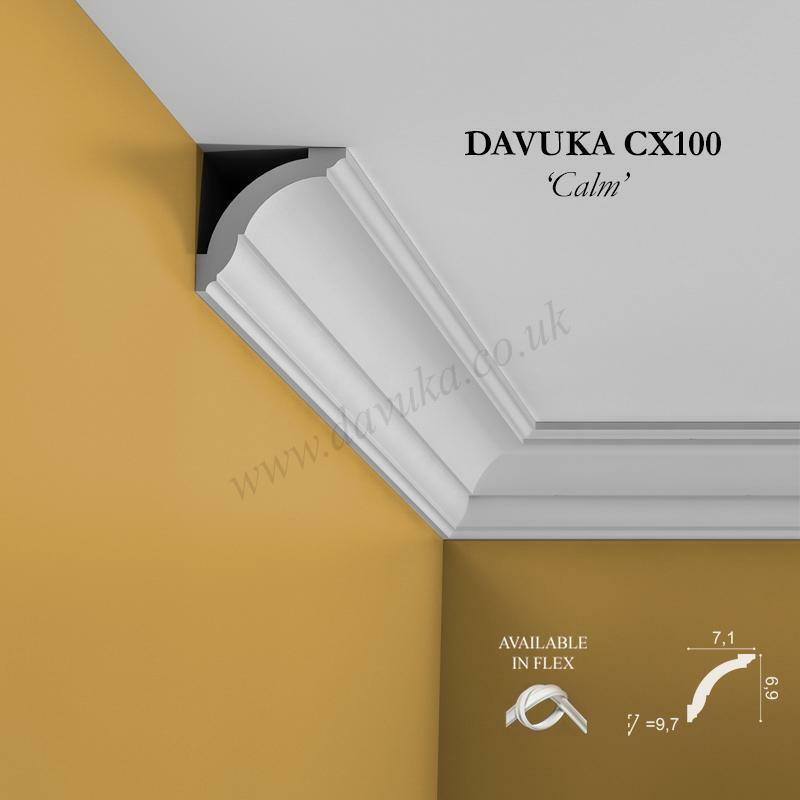 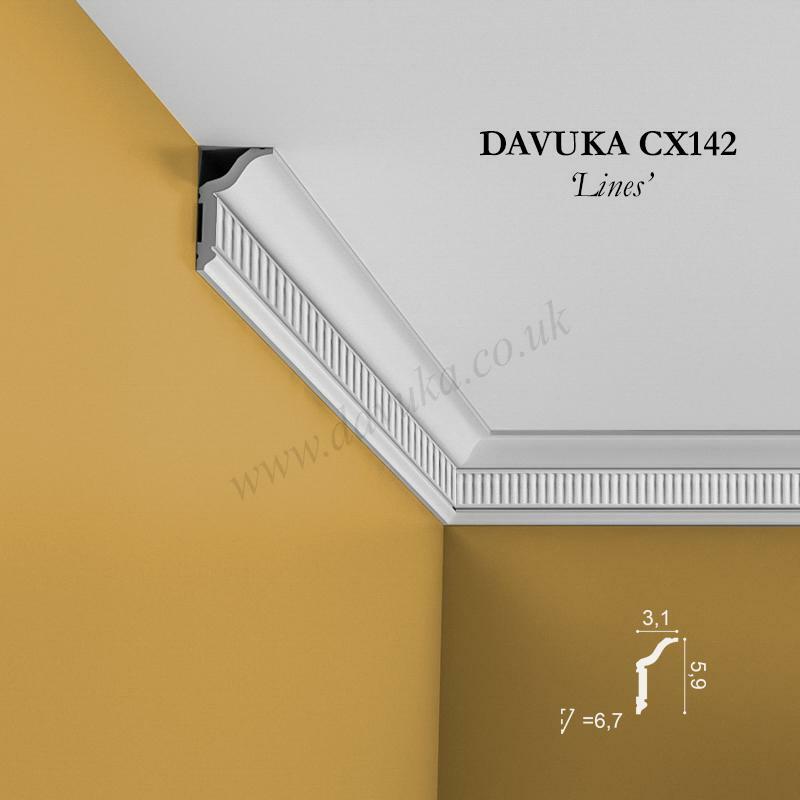 Coving CX148 ‘Mellow’ – Also available in flexible material. 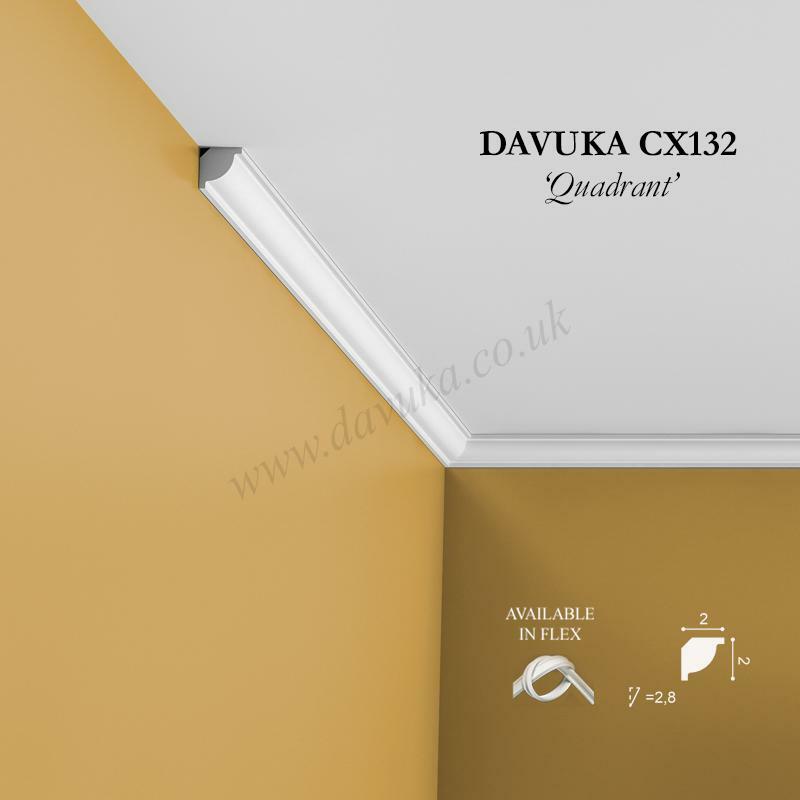 Minimum bend radius 1.8m for flexible. 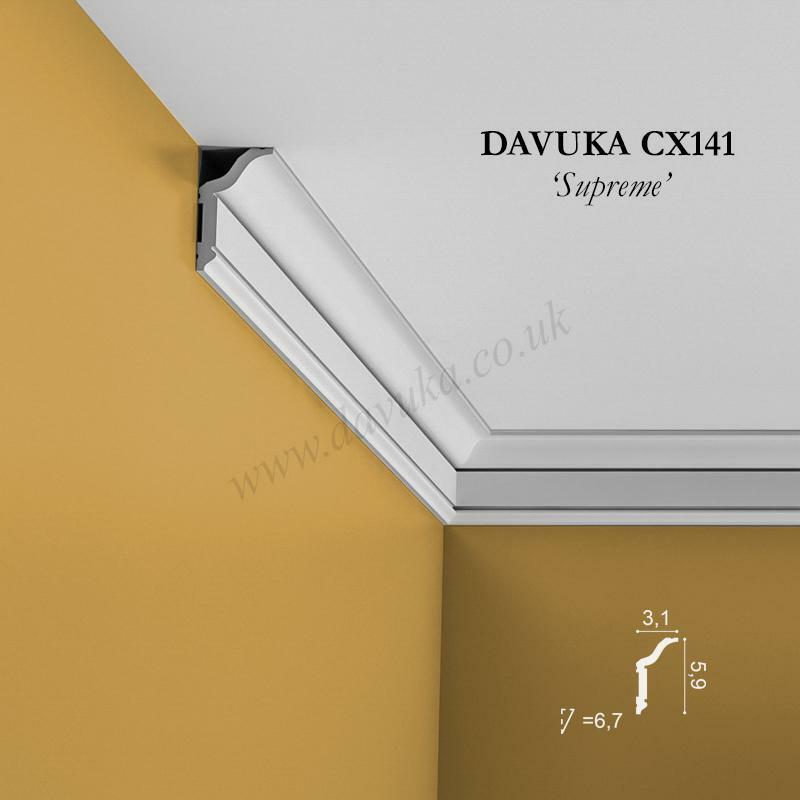 Match with PX144 dado rail, R76 ceiling rose and SX125 skirting board. 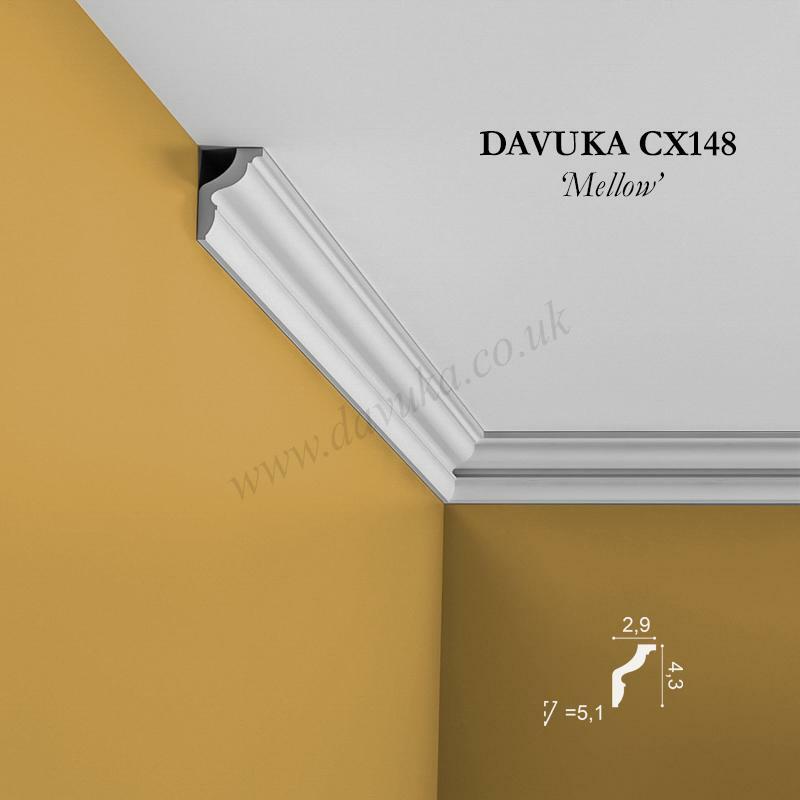 Using Correct Adhesives for the CX148 ‘Mellow’ Coving – IMPORTANT!